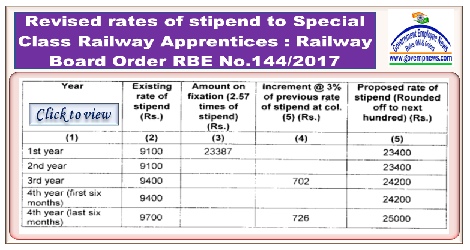 Sub: Revised rates of stipend to Special Class Railway Apprentices. 2. These orders will take effect from 01.08.201 6. 3. The apprentices will draw the revised rates of Dearness Allowance appropriate to the revised rates of stipend.